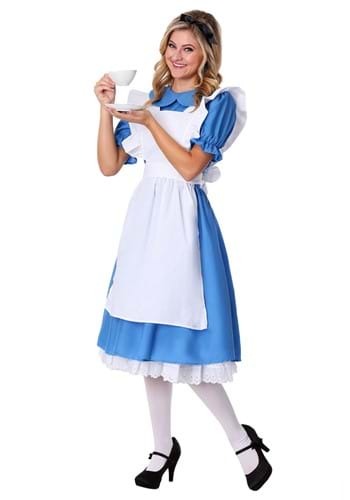 Adult Deluxe Alice Costume By: Fun Costumes for the 2015 Costume season. "I'm afraid I can't explain myself, sir, because you know, I'm not myself." Now you can look exactly like your favorite storybook character when you wear this Adult Deluxe Alice Costume! This is a complete costume that will make you look like you are chasing the white rabbit! Pick up a pair of Mary Jane shoes to complete the look!